In April my husband and I participated in Pack for A Purpose for the second time. 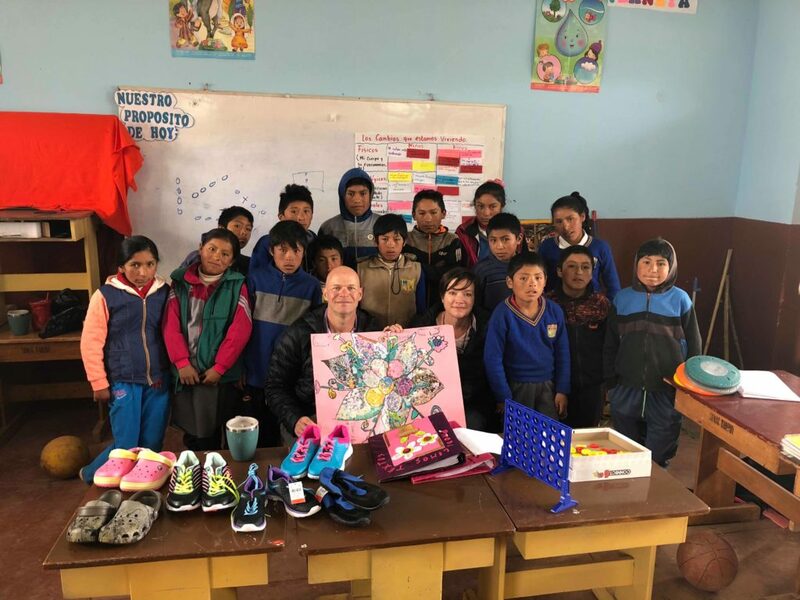 This time we visited a school in the mountain community of Anqoto Misminay, Peru. As with our first trip, we were able to visit the school and deliver the items in person. It was a remarkable experience to meet the kids and learn about their lives. The kids in turn gave us a gift- a collage created by the children in the class. We truly believe that Pack for a Purpose touches and changes so many lives.